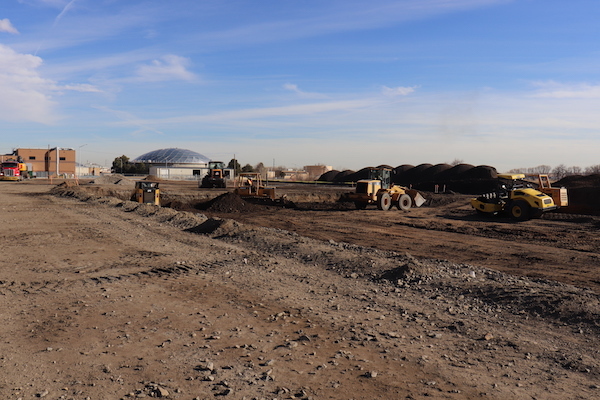 The City of Longmont has begun construction on its Biogas Treatment and Renewable Natural Gas (RNG) Fueling Station Project. Once complete, this project will transform sewage gas from the wastewater-treatment process into sustainable fuel for the City's trash trucks. The City will replace 11 of its diesel trash trucks with trucks capable of using RNG fuel. It is estimated that the City will offset over 100,000 gal of diesel fuel annually, reducing greenhouse gas emissions by about 1,000 metric tons of carbon dioxide equivalents per year — the equivalent of removing 200 cars from the road. In addition, by building the RNG Fueling Station, the City is also able to take advantage of valuable credits from the United States Environmental Protection Agency’s Renewable Fuel Standard program. Effective Jan. 15, 2019, or as contracts allow, DuPont Water Solutions has announced a global increase on the prices of ion exchange resins and reverse osmosis membranes used for water treatment and other industrial applications. Ion Exchange Resin price increases range from 5-20%, and Reverse Osmosis membrane price increases range from 5-10% for selected products/applications. This increase will take place with immediate effect and as contracts allow. The increase will vary according to the field of industry application and region. The Dallas Chapter of the Texas Society of Professional Engineers (TSPE) named Mathew Busby, P.E., as its 2019 Young Engineer of the Year. The award, given by TSPE since 1967, recognizes individuals for their technical ability, professional achievements, and civic and humanitarian activities. Busby will be presented the award at the TSPE Engineers Week Annual Awards Luncheon on Feb. 20, 2019, at the Plano Event Center. Busby, who serves as a project manager for civil engineering firm Lockwood, Andrews & Newnam, Inc. (LAN), has worked on municipal infrastructure projects for more than 10 years. These projects, which include utility relocations, pipelines, pump stations, treatment plants, drainage and neighborhood streets, have helped improve the quality of life for Dallas and surrounding areas. Mathew Busby, P.E., 2019 TSPE Young Engineer of the Year. Kemco Systems have announced the promotion of Ann Elder to the role of VP of Engineering.